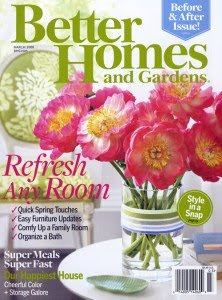 Head on over here to Better & Homes and Gardens and click on the banner at the very top. That will take you to a page where you can sign up and get a 1 year subscription + 2 free gifts for only $5.99. Be sure to read the fine print as it says it will auto renew at the end of your subscription period. So, be sure to make a note for yourself so you can cancel when your year is up!